Settled on the headwaters of spring-fed Berry Creek, the community was first called Springs and then Gum Springs. The first settlers (in the mid 1850s) were from Missouri and Tennessee. In the 1870s settlers came from Alabama, Mississippi, the Carolinas, and Kentucky. After early settler Stephen Taylor built a gin (and a store) the area became known as Taylors Gin. In 1888 the town was granted a post office under that name. The name didn't sit well with one Dr. Hazelwood who petitioned for a name change in honor of his mother-in-law, Mrs. Henry D. Briggs. Being the town doctor carries weight and the town was renamed in June of 1898. Two years later the town was platted and Briggs had a population of 100. From 1906 to 1928, the town thrived despite a 1906 tornado that destroyed the school. The population was nearly 300 by the 1920s. Fires in 1928 took out several buildings which were never rebuilt. 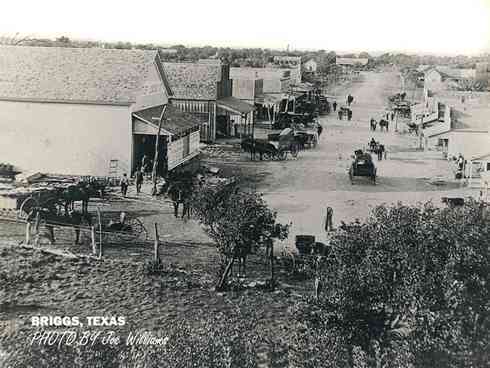 When highway 183 was built, many citizens began commuting to Killeen and Copperas Cove. Briggs's population reached its zenith with 520 people in the mid 1930s. The figures seesawed between 250 and 300 until the late 1960s. 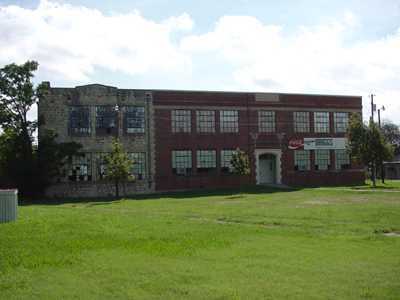 It then declined to less than 100 and the town's school merged with the Burnet ISD. 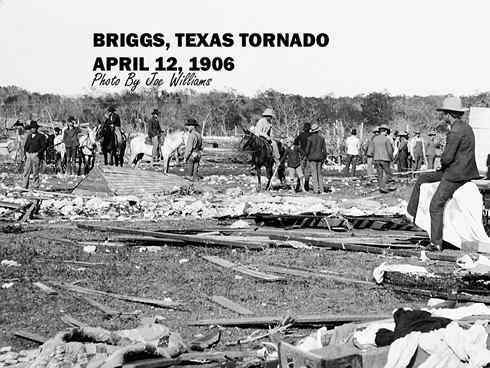 The photos of the 1906 Briggs tornado led me to the Briggs site & brought back some memories. My dad's first cousin, Dossie (Lane) Cottle, & her husband Sherman had a ranch outside Briggs in the '40s through the '60s. We went to Briggs often to visit them. In those days there was a musical group in the area called The Briggs Hayloft Gang. 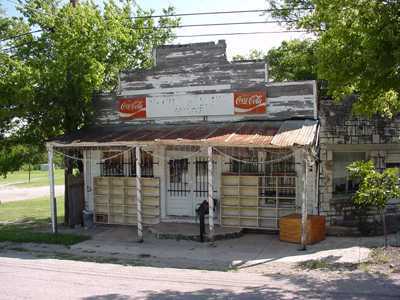 It was very popular in the area & played in other small towns around Briggs as well as in the Briggs school. Dossie sang with the group. I've often wondered if it still performs. The next day Dad, Sherman & I went into Briggs--I don't recall why--and it was all over town that I had proposed to the girl & we were setting a date to get married. Talk about small town gossip! I was a senior in High School & certainly not thinking about marrying anyone, especially not a girl I hadn't seen in 9 years before that night.